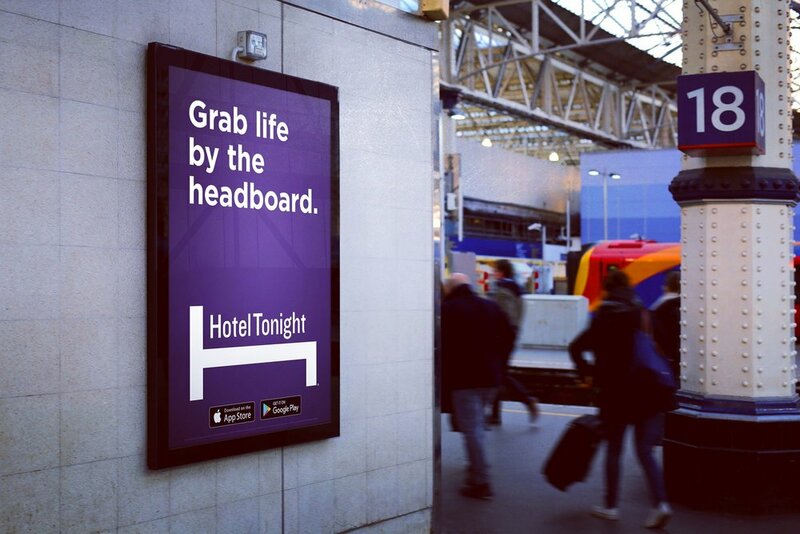 Introduce last-minute hotel booking app HotelTonight to new audiences in San Francisco and New York City. 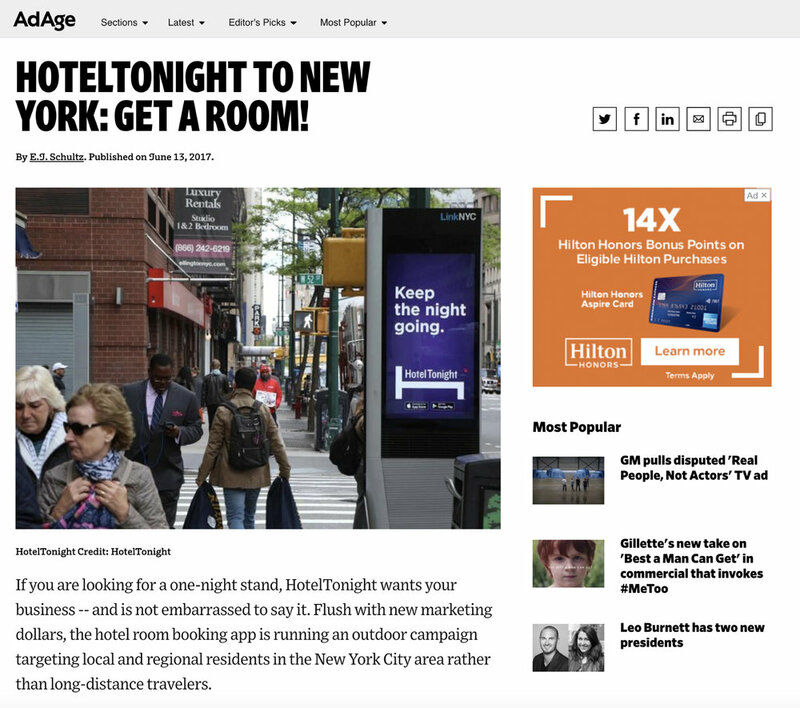 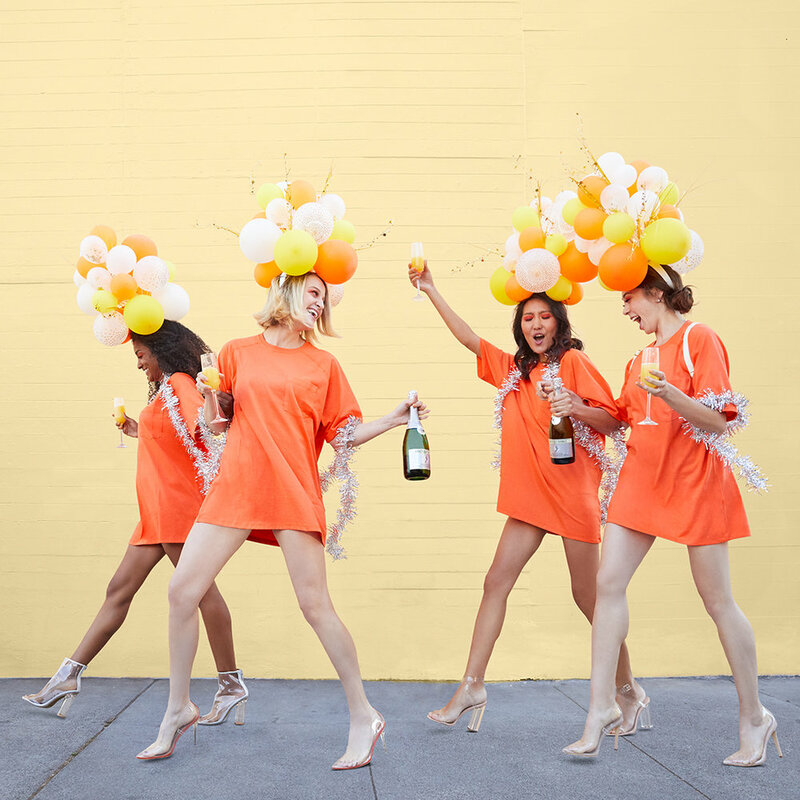 Billboards, bus shelters, subway and airport signage placed around San Francisco and New York City to encourage audiences to extend their good time with a last-minute hotel room. 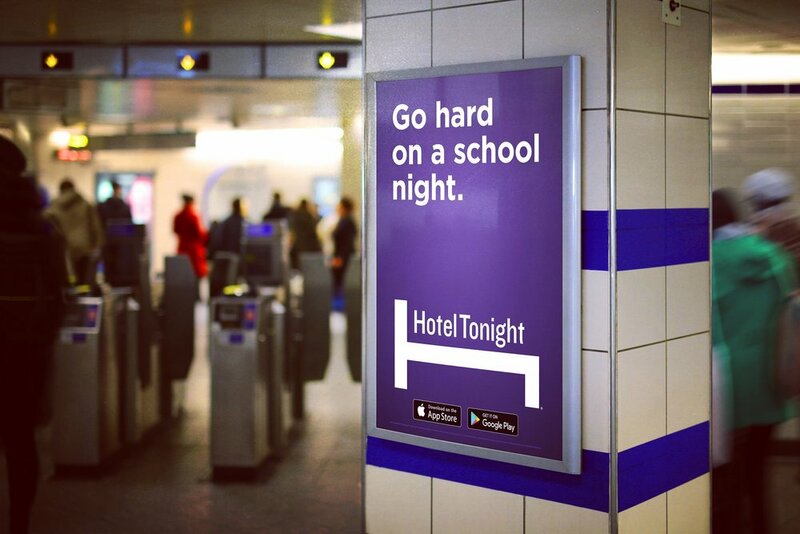 HotelTonight saw a 30% lift in mobile room bookings.